To say that Roger Federer has had an illustrious career in tennis is perhaps an understatement. His accomplishments in the sport have caused him to be regarded by many as the greatest tennis player of all time. His career endeavours have even given birth to speculations that Federer, the brand, has become bigger than the game of tennis itself. 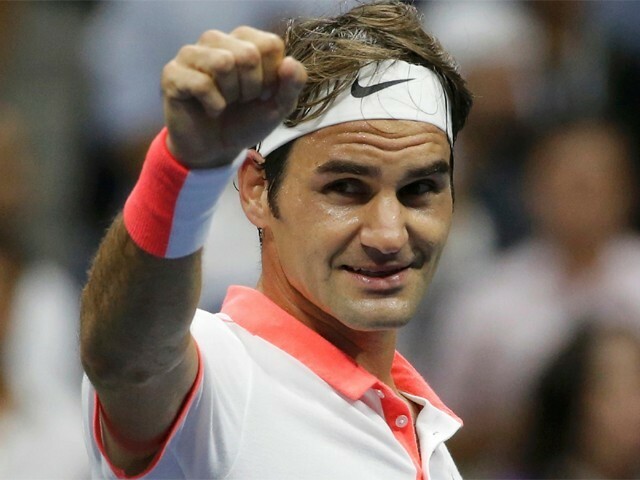 Similar to Federer, every sport has a legend who transcends the boundaries of being just a sportsperson and reach a god-like status; being adored and ‘worshipped’ by sports-crazed fan all across the globe. Myths are weaved around the mortal human whose years of stardom become fodder for the media which turns them into brands, often larger than life. But what is often purged from the memory of the spectators and fans is the imminent, painful slump that follows a rather illustrious career. As a rule of thumb, almost all legendary athletes go through this phase. Their age catches up with them, making them slower and weaker. Their bodies start to give way under the heavy toll of years of hard work. They lose to unknown opponents that almost shatter the myth built around them. They start to lose fans who used to worship them, and sponsors that were once proud to associate their brands with them. When the sun starts to set on the career of an athlete, he has two options. He can either say goodbye with his ego still intact or he may look for some high note – a tournament win – and leave the sport avoiding the slow painful fall. 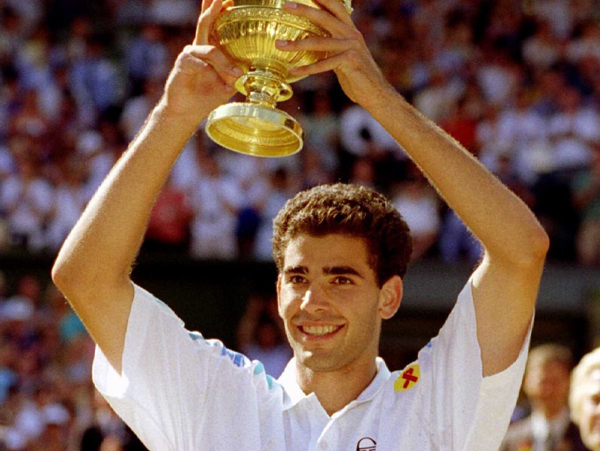 The latter option was the one taken by Pete Sampras – unarguably a legend in the world of tennis and winner of 14 Grand Slam titles. For him the end began in 2001; he lost to the then little known Roger Federer at Wimbledon, the place he had won for four consecutive years. It was a beautiful change of guard – the old king giving way to the future king. 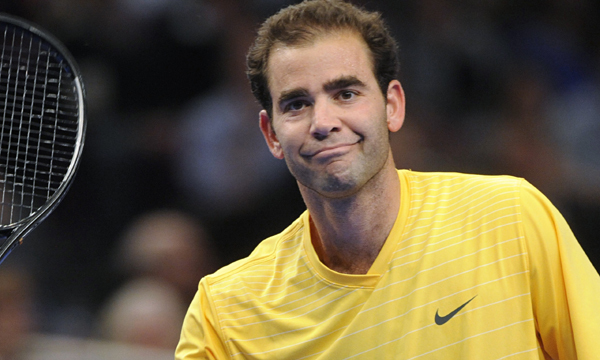 Pete Sampras once explained he wish he knew before becoming successful. Having won 14 singles Grand Slams including record seven Wimbledon titles to his name, one of the greatest to have played the game retired without clinching the French Open. After a Grand Slam-less 2001, Sampras lost Wimbledon 2002 to world number 145, at the time. Winner of seven Wimbledon titles loses to a world number 145! That must have hurt the ego. Yet, he summoned all his energy to win 2002 US Open defeating his arch rival Andre Agassi in the final, giving his fans happy last memories to remember him by. His fans didn’t have to see him be reduced to a mere mortal. Sampras didn’t compete at tour level tournament after that, defeating Agassi was his cue to leave the court with his head held high. Andre Agassi lifts the Australian Open trophy for a fourth time in 2003. Then there are some stubborn athletes who take a different, very unreliable route. They don’t go away when they start losing. They take the occasional loss and the vulnerability to failure in stride. They continue competing against younger and stronger opponents who have trained years keeping the world number one in mind. Roger Federer belongs to this class of athletes. Having dominated tennis from 2004 till 2009, he has played the role of a legend, who is not as good as he once was, rather nicely. As it turns out, he may be well past his prime, yet he is still good enough for most of them out there. The predictions of Federer’s retirement have been around since 2011. After a Grandslam-less 2011, many experts believed that the end was near for this legend’s glorious career. But at Wimbledon 2012, Federer defied age to clinch his 17th Grand Slam title and became the world’s number one again. The key to this turnaround was his innovation and awareness of subtleties of the game. Federer tinkered his game to come to the net more often, thus limiting the length of the rallies. The shorter rallies suited his aging body while the outrageousness of the strategies often caught his opponents off guard. 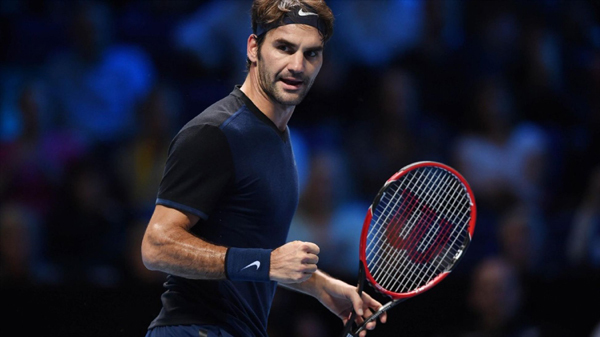 Roger Federer edges out Kei Nishikori at ATP World Tour Finals. Then he had a disastrous 2013 and didn’t make an appearance in any Grand Slam final – which happened for the first time since 2002. An aching back and loss of confidence led fans to fear a sad decline in his game. He bowed out of Wimbledon in the third round. Twelve years ago, a similar early exit for Sampras had marked the end of a great career. Many believed a similar end awaited Federer’s career. But the guy just doesn’t give up. He changed his racquet, coach, and approach. He went retro, added variety to his game and started to use his slice back hand more creatively. 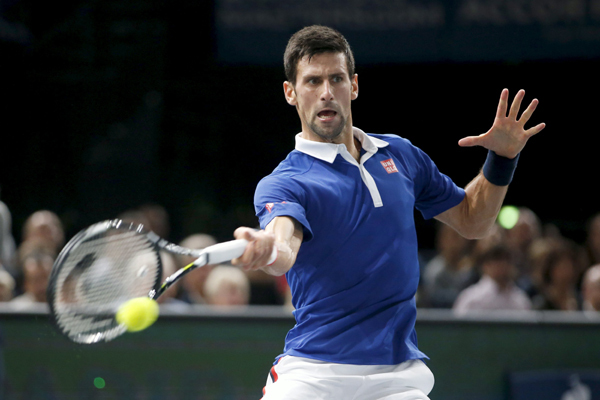 He started to serve-and-volley – even trying it with second serves. Another ingenious tactic was aptly named Sneak Attack by Roger (SABR). He would move close to the service line to receive the serve, almost half-volleying it and rush to the net to hassle the server and mess with his rhythm. While amateurs try these tricks shots for fun with their friends, Roger uses them as serious strategies against the very best in the world. His creative efforts didn’t win him any Grand Slams despite three Grand Slam final appearances, but he had many successful Masters Tournaments and maintained his world number two ranking throughout most of 2014 and 2015. 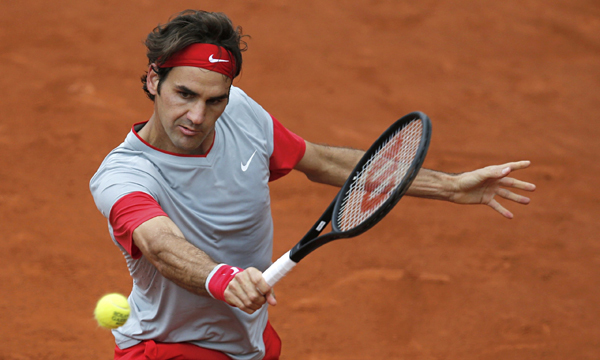 Federer sets record en route to fourth round – French Open 2014. Unfortunately for Federer fans, his 34-year-old body is failing him again. He had a knee injury at the start of the season, which healed following a surgery. But not before he had missed tournaments at Rotterdam, Dubai, Indian Wells and Miami. After playing Monte Carlo, he had to miss Madrid Open because of a back injury. With a troubled back, he lost his third round match at the Rome Open, as well. But the biggest blow came when Federer had to announce withdrawal from 2016 French Open, which saw the title going to Novak Djokovic. This was the first time that the Swiss champion didn’t play a Grand Slam tournament. These are ominous signs, indeed. Having won 11 singles Grand Slams, Novak Djokovic is still waiting to clinch his first French Open to complete his career Grand Slam. However, even after a self-accepted ‘tough’ year, the king refuses to bow down. Just when everyone thought the end of Federer was near, he has returned to action in Stuttgart, just three weeks before the start of Wimbledon. In his own words, the now number three says he feels ‘much better again’, laying to rest any rumours of retirement, at least for now. With the Wimbledon Cup looming just near the horizon, the gurus are wondering if another Federer-resurgence is on the cards. While it is still a possibility and he can prove all predictions wrong again, we might be asking too much from him. Back in 2012, Federer dismissed his retirement predictions, saying he is looking forward to playing the Rio Olympics in 2016. He seemed to mean it as an idea of distant time in future, instead of a specific point in time. However, given his tough year and with less than three months left to the Rio Olympics, maybe he did mean it as a specific point in time; the time to finally bow down. See Uncle Tom how foolish your prediction has been.